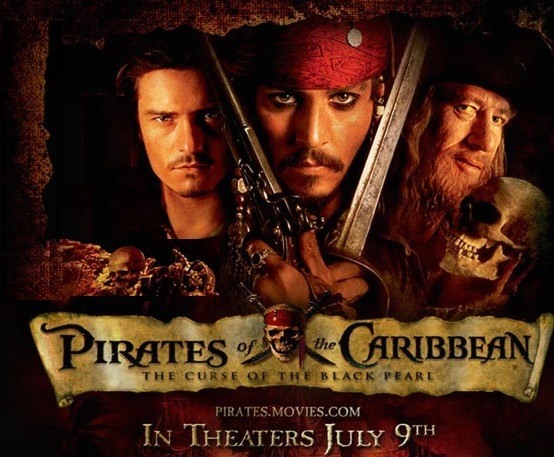 Having tossed iPhoto back unto the blackest pit from whence it came, for any image editing needs I use Preview instead. Of course for complicated graphics and painting related image editing I use GIMP or MyPaint or similar, but for easy tasks Preview works just fine. Preview is simple, straightforward and user-friendly which is all I ask. 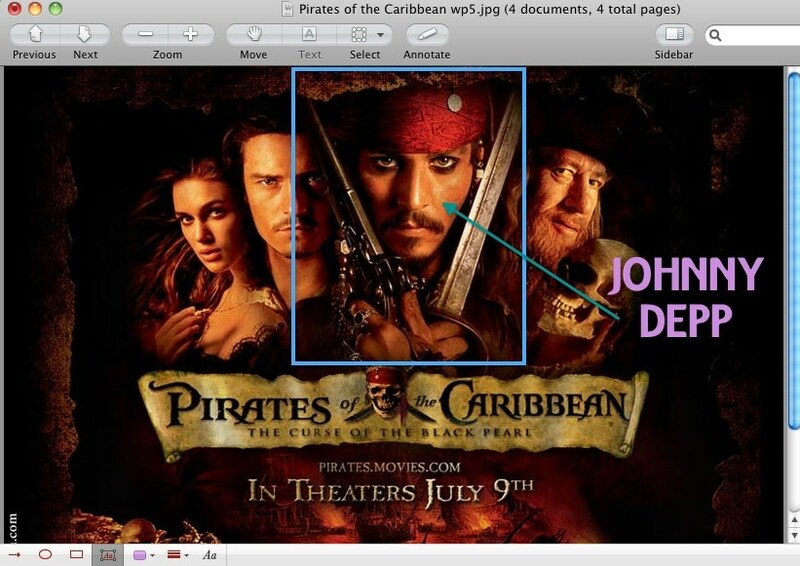 Cropping images using Preview is extremely simple. 1.) Open the image you want to edit in Preview. 2.) Select the area of the image you wish to keep. 3.) Use cmd+k to crop the image. 4.) Either right click on the image or use File > Save As to save your new cropped image. 1.) Open the image or pdf in Preview. 2.) Click the Annotate button to show the Annotate menu at the bottom of the Preview window. 3.) Add whatever you need to. 4.) 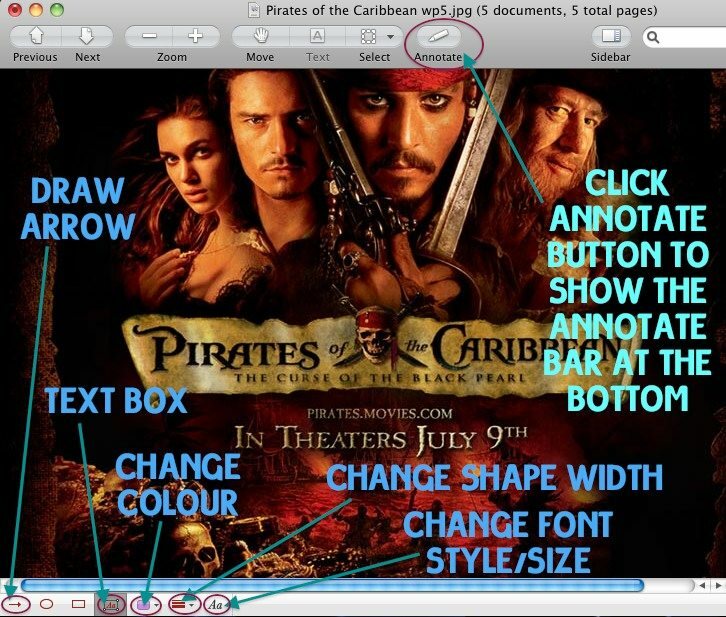 Right click on the image or use File > Save As to save your new annotated image. NOTE: You cannot change annotations once they have been saved. Then just save your new file. Here is the finished product, all done in Preview, which took less than 3 minutes. 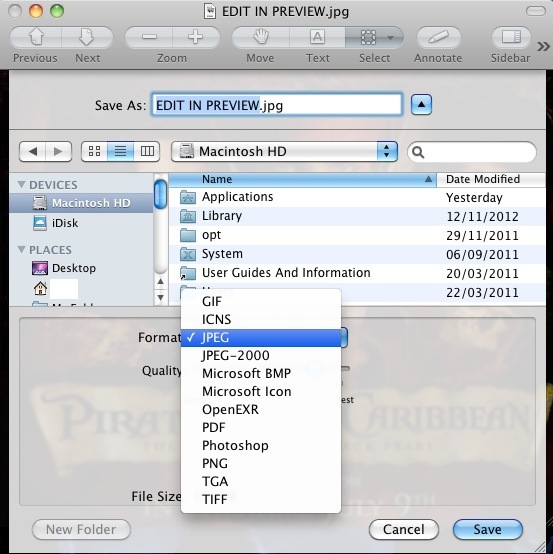 Preview can also covert or rather save images as several different file formats. 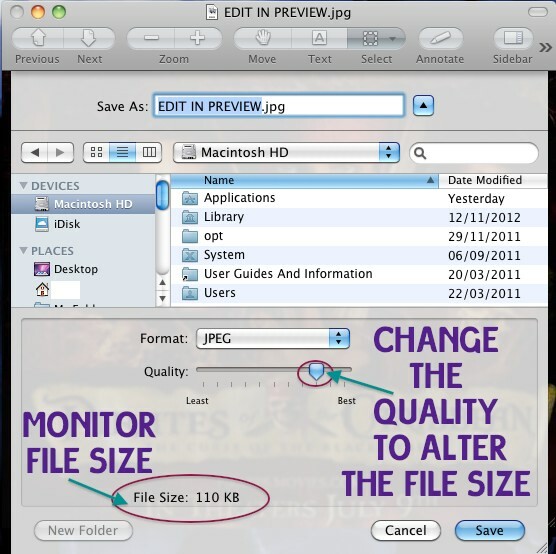 It can also reduce the quality to change the file size. None of this waiting for huge image editing programs to open, Preview will do it quickly and easily. I often use it to downsize my photos which are always huge files because of the quality. 1.) Open the image you wish to convert/edit in Preview. 2.) Right click or use File > Save As. 3.) From the Format list choose the file type you wish to use. There are quite a few to choose from including the usual gif, png, tiff, etc and also some unusual ones like Photoshop, icns, and pdf. 4.) If you wish to resize choose jpeg from the list and use the quality bar to alter the size of your image. 5.) When you are happy with the settings click Save and you’re done.